A call out to those who know how to CREATE SYSTEMS, REACH PEOPLE, and BRING RESOURCES to initiate ELEVATION. They say, “If your crazy big idea does not scare the heck out of you, you are not thinking big enough.” Well, I don’t think that is my problem. 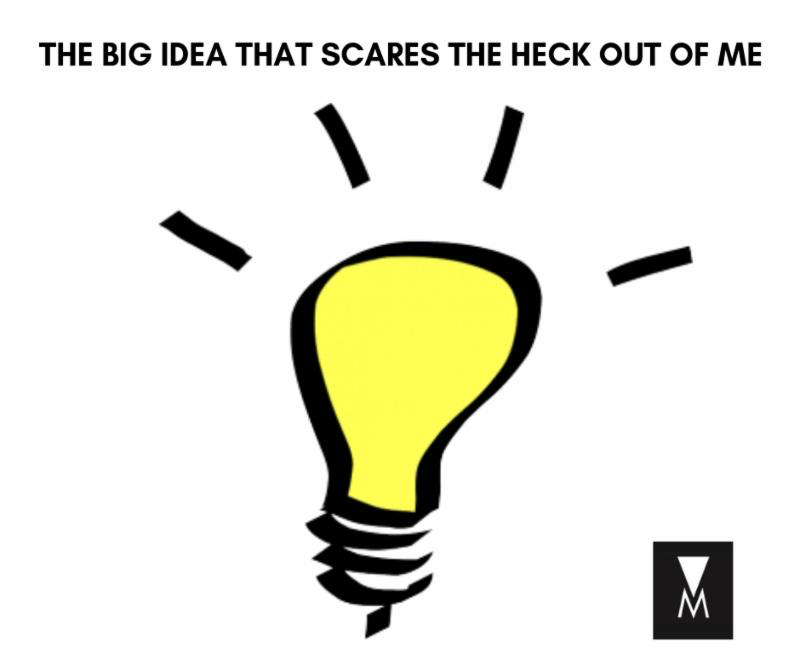 My idea scares the hell out of me! Right after I finished writing The Mosaic I had an idea. I wanted to get into a van and travel around the world to sit with the people that no one seems to listen to or care about, to hear what they had to say and to create a documentary of these conversations. I think it is important for the world to hear not only the thoughts of leaders, but of the common ordinary people. The idea is to contact local media in every town using my book The Mosaic, as an entry point to share the exquisiteness of the ordinary, and to invite people to come together and say what they they want to say without anger. I want to ask them their thoughts on how they might solve problems such as homelessness, hunger, education, health care, racism, woman rights, etc. problems that should quite frankly no longer exist in the world we live in. Now if that isn’t scary enough, the vision expands. I want to bring together a group of people to create DAM (thanks Devi Adea for this Acronym), The Dollar A Month Club. The goal of this club would be to enlist One Billion People. And the benefits of DAM would be multi tiered. The first benefit would be, the opportunity for people who contribute $1.00 a month, to have the right to come together in both virtual spaces and brick and mortar locations around the globe, to join small Innovation Circles. The goal of these circles would be to bring together people of UNlike minds, to invite them to share with each other what they see. The hope is, that when we allow others to help us see what we have always seen differently, innovate happens. We would then ask these Innovation Circles to share their solutions with the larger DAM group. And we would create a way to use the wisdom of the crowd to come up with solutions we could invest in to eradicate problems that should no longer exist. When DAM reaches one billion people, we would have $1,000,000,000. a month to invest in the solutions that We The People come up with, without having to ask for governmental support, charity support or any other support. We The People (as the first 3 words of our American Constitution starts out saying) would take on the responsibility of solving together the problems we face by simply contributing $1.00 a month. We would have the ability to take risks, to do things others would not do, because in essence, all we would only lose if the idea didn’t work $1.00 a month. But research is showing us that The Mosaic Mind or The Hive Mentality, or Swarm Intelligence DOES WORK. It has shown us that when we come together to solve challenges, the solutions we find are greater and more effective than anything that is possible with only the singular mind. As Buckminster Fuller said above, You cannot change the old paradigm with the thinking of the old paradigm. You must create a new paradigm that makes the old paradigm obsolete. It is time for the vertical reality of leaders and the led, fixers and the people that are broken, people who know and those who don’t know, to give way to a new Mosaic Model where every piece shows up, where every voice is listened to and heard, where those who have never been listened to get a chance to speak and in the process of coming together, new solutions are found that eradicate the sufferings of the world. We together will build this model that integrates all knowledge and we will be able to grow and expand the model to include new challenges. Challenges such as, AI, 3D printing, Virtual Reality and even Alien Intelligence. The world we are living in today is rapidly changing and we need to adapt and find new models that will not only eradicate the unnecessary problems of today but future think and allow us to prepare for a time when the world we live in will be completely different. This is a call out to those who know how to create systems, reach people, and bring resources to initiate it. This is a call to those who want to be a part of the change, to those who dream big and to those who want to also receive a return on investment in creating a world where suffering no longer exists. If you are one of these people or know someone who is one of these people, please reach out to me. The best time for this to have happened was 25 years ago, the next best time is now. “No one can solve today’s problems but you and me. History books mistakenly portray the Civil Rights Movement as Dr. Martin Luther King’s movement. But it was a people’s movement. Many thousands participated.